We all know that fish contains a large amount of omega-3s, including EPA and DHA, but we also know that it's no secret that many children don't like fish. 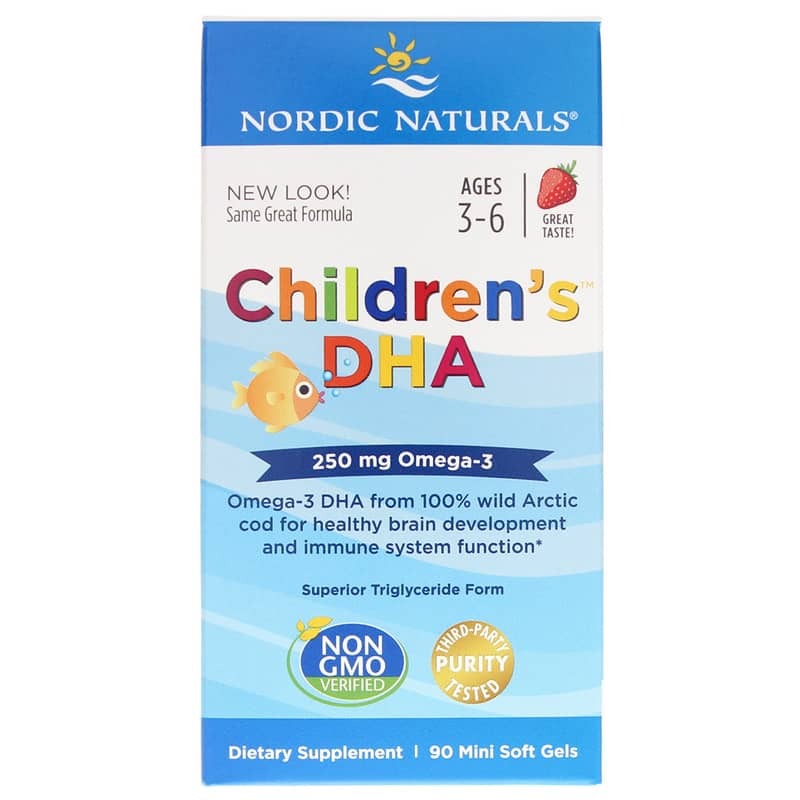 If your child doesn't like fish, Nordic Naturals offers a great-tasting way for him or her to get a healthy amount of omega-3s through DHA. Children's DHA provides EPA and DHA, along with other omega-3s to support the healthy growth and development of your child. 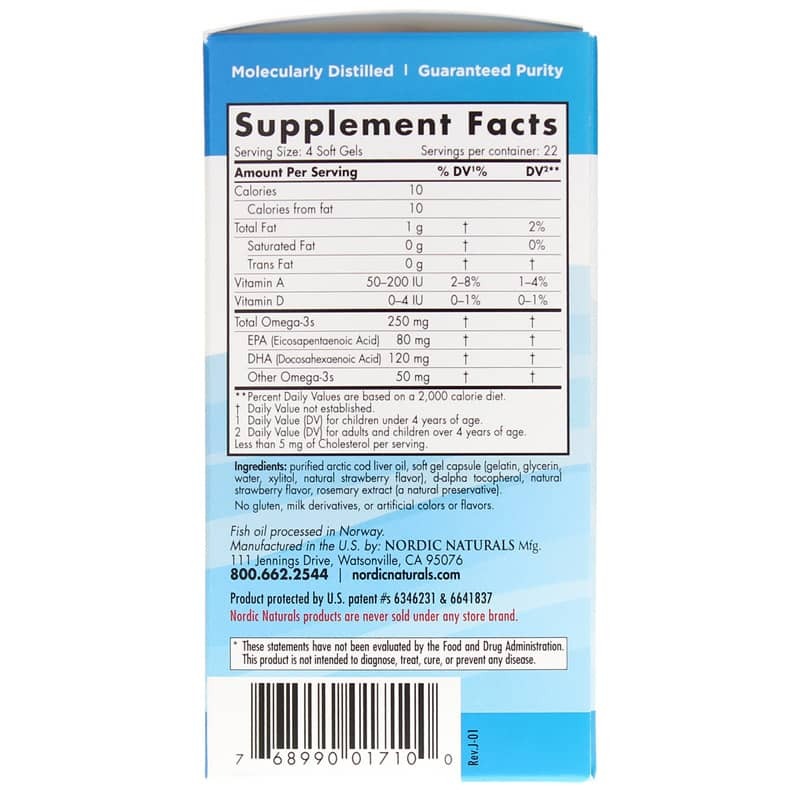 Nordic Naturals always tests their products to ensure no detectable levels of heavy metals, dioxins, PCBs, or other contaminants. 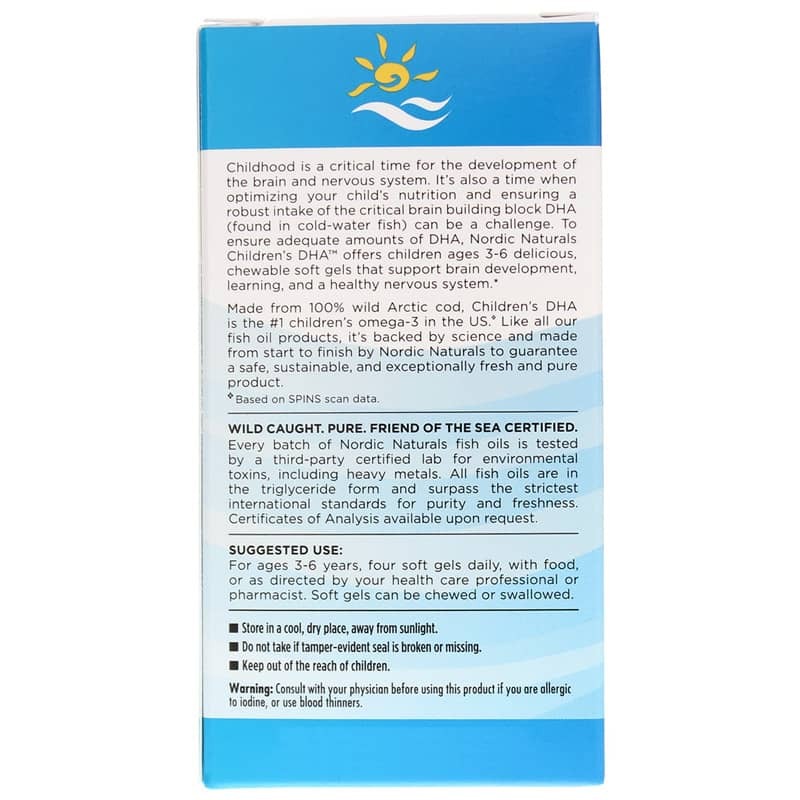 Children's DHA is the truly healthy way for your child to supplement their daily diet with beneficial DHA and other healthy omega-3s. Watch your child grow and develop in optimal health. Make the choice to give him or her Children's DHA from Nordic Naturals today. Order now! Contains NO: GMOs, gluten, milk derivatives, GMOs, artificial colors or flavors. Children Ages 3 to 6: Take 4 soft gels daily with food, or as directed by your healthcare professional or pharmacist. 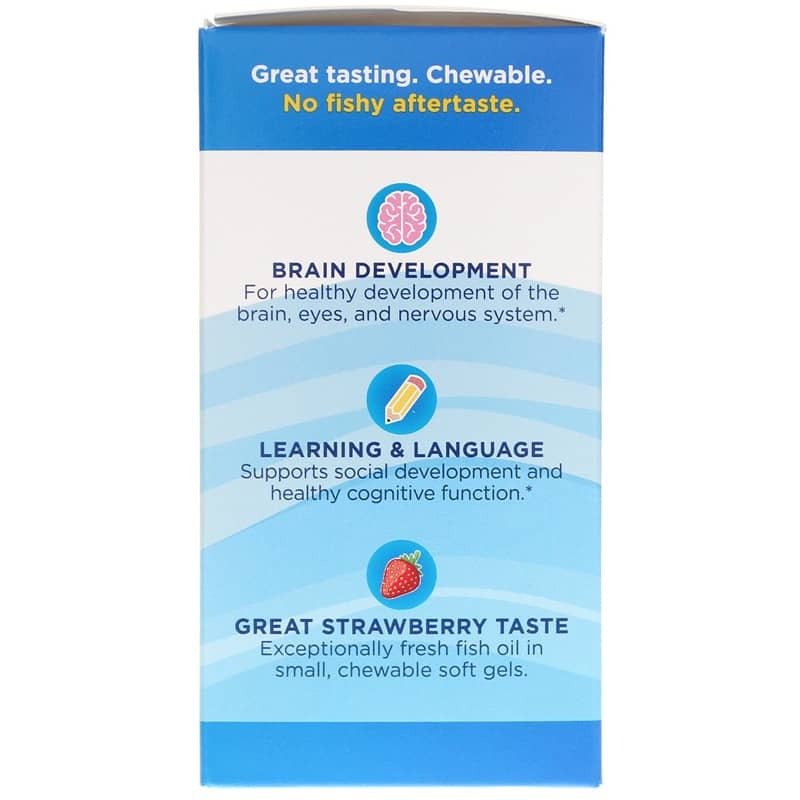 Soft gels can be chewed or swallowed. Use only for children 3 years and older. Consult our physician before using this product if you are allergic to iodine, using blood thinners, or anticipate surgery. Keep out of the reach of children. My 2 1/2 year old son loves these "fish eggs." We bribe him to eat all of his dinner with them! I didn't think he would like them (I tasted one) but he's hooked. Natural Healthy Concepts had the best prices too! I got these for my grandson and he loves them. He calls them is his gummy vitamins. Good nutrition made fun.